The DualShock 4 Wireless Controller is one of the best gamepads available to date, and for good reason. Like its predecessors, the DualShock 4 is incredibly ergonomic, and it's designed for all sorts of game genres in mind, from action-adventure titles like Uncharted 4: A Thief's End to battle royale games like Call of Duty: Black Ops 4's upcoming Blackout mode. If you're both a PlayStation 4 owner and a PC gamer, chances are you've daydreamed about hooking up your DualShock with your PC and playing games from your Steam library with it. Well, there's some good news: You can do just that, and it's quite easy to setup. If you're interested in playing PC games with a PlayStation 4 controller, here's how to do it. Before getting started, there's a few things you'll need to have on hand if you want to use your DualShock 4 with your PC. Here's our full list below, along with why you'll want to have it. DualShock 4 Wireless Controller There's no PC version of the DualShock 4, so go ahead and buy any model you see from your local GameStop or Best Buy's PS4 section. If you already have a PS4 controller, then you're already halfway done. 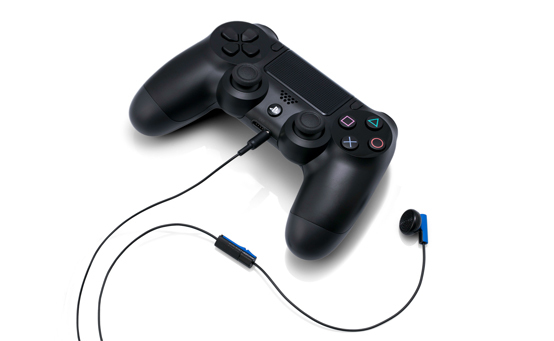 Micro USB Cable The DualShock 4 uses a micro USB cable to connect to devices, and you'll need one for your PC to set up your DualShock. If your computer doesn't feature Bluetooth support, you can also keep your DualShock connected to your PC this way. Sony's DualShock 4 Wireless Adapter If you want to enjoy your DualShock 4 as a wireless controller, then you'll need a Bluetooth adapter. Sony has an official one that players can use, but if you already have a Bluetooth adapter or want to buy one for cheap, then there's no need to buy Sony's model. DS4Windows Unless you're using Steam, you'll need to download the DS4Windows program in order to properly configure your DualShock 4 for PC. This software and its drivers are free, and users can download it from its official website. Once you have all your prerequisite materials together, you're ready to set up your PS4 controller. We'll show you two different ways to do it: First through Steam, and then for everything else. These days, Steam supports the DualShock 4 as a native controller. That means Valve has handled all of the heavy lifting required to set up your PS4 gamepad: All you need to do is run Steam, plug in your controller, and Valve will handle the rest. If you'd like to pair your controller with Steam, first enter Big Picture mode from Steam's PC overlay. You can do this by pressing the controller button on the top-right part of the header. Then head over to the Settings menu and the Controller Settings section. From there, turn on the "PS4 Configuration Support" feature. Next, go ahead and connect your DualShock 4 controller to your PC, either through your micro USB cable or your wireless adapter. To do the latter, you'll need to hold the PS Button and Share button at the same time for three seconds. Steam will then recognize your controller, and you'll be able to customize it from there. As far as DualShock 4 usage goes with Steam, Valve has really gone out of its way to give players myriad options for using the controller. 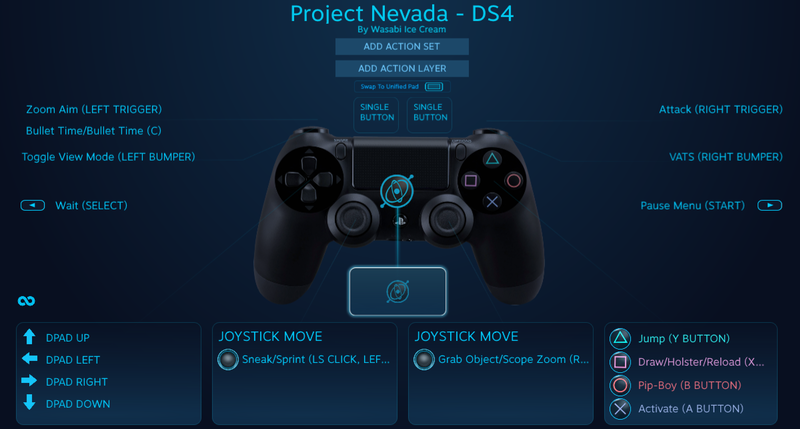 Steam features native API support for the DualShock, and the DualShock 4's gyro and touchpad can be configured for use during play or for navigating Steam. For more information, read through Valve's update adding DualShock 4 support to Steam's library. Before jumping in to your favorite game, bear in mind that some games may require additional configuration or tweaking for the best possible controller schemes available. Fallout: New Vegas' Project Nevada has its own customer controller scheme thanks to Reddit, for example, and the Monster Hunter World subreddit community has created its own guide to fixing the game's weird configuration issues with the DualShock 4. So don't be afraid to dig around your favorite gaming community before taking your PS4 controller out for a test drive. Steam is nice, but not every game supports the software suite. If you're interested in using your PlayStation 4 controller with emulators or DRM-free titles, don't worry, there's still an easy way to do that too. Instead of booting up Steam and connecting your DualShock 4, go ahead and download DS4Windows if you haven't already. This is a free program that lets users connect their DualShock 4 to their PC and use it as if it was an Xbox controller. Go ahead and launch DS4Windows as soon as it's done downloading. The program will prompt you with a driver install, which lets your PC recognize and use your DualShock 4. Please note that if you're using Windows 7 or any older Windows device, you'll need to follow the programs' second step as well, which involves downloading Xbox 360 controller drivers for your PC. Next up, it's time to connect your DualShock 4 to your computer. Go ahead and either plug it in to a USB port or pair it wirelessly by holding the PS Button and the Share button together. After your DualShock begins flashing, connect to the "Wireless Controller" peripheral and type in the code "0000" if your PC requests a pair code. That's all there is to it! Feel free to go ahead and customize your DualShock 4's controller settings with DS4Windows, but otherwise, your games should recognize your PS4 controller and use it appropriately. You can even use the touchpad or rumble settings with your PC games. Pretty nifty stuff, no?